Posted on December 31, 2015 at 7:00 pm. With a unique line of sports accessories that allow fans to “wear the game,” GameWear has achieved remarkable growth in the highly competitive market for team-logo merchandise. Execution across the entire sales-and-supply chain is the key to winning the battle for shelf space in sports stores and stadiums. That calls for instant access to information across a broad base of manufacturing sites, retailers and sales representatives – some based in the U.S., some around the world. To secure those connections and keep them reliable, GameWear teams with eMazzanti Technologies, a technology consulting firm with scores of satisfied clients, a knack for understanding and solving business issues, and a winner of WatchGuard® Partner of the Year. GameWear was poised for fast-track growth but needed to improve its ability to share information and communicate. According to CEO Frank Cerullo, “We have sales representatives across the country, customers in other countries, and manufacturing, warehouse and distribution facilities. They all need to access information about our products, from product images to manufacturing specifications.” However, this had to be accomplished while satisfying the need for security, and as he says, “I’m very, very cautious about giving people access to our IT infrastructure, access to our office, a window into the kind of business we run. Cerullo turned to Carl Mazzanti, Chief Executive Officer of eMazzanti Technologies, their trusted IT consultant. Mazzanti reassured GameWear that they could run an FTP server for information-sharing, satisfy a number of other needs, secure their business against intrusion, and make it all easy to manage by installing a WatchGuard firewall. Mazzanti installed a WatchGuard CoreTM X750e with a full Unified Threat Management Software Suite including WebBlocker, Gateway AntiVirus/IPS and spamBlocker. The firewall is configured to run all services fully proxied, with a locked-down set of rules. The X750e protects several dozen desktop PCs in the GameWear office as well multiple servers, and also allows secure remote access via SSL-VPN. 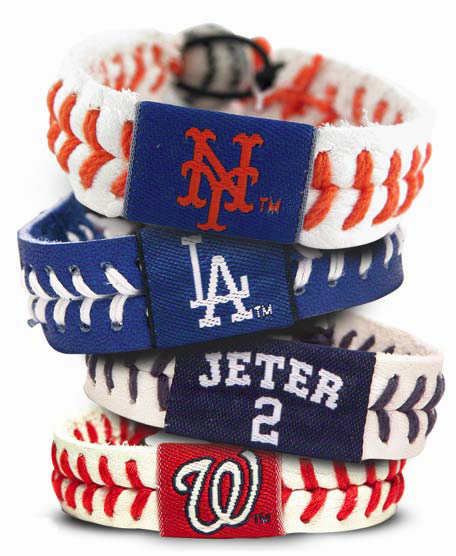 GameWearTM is a nationally recognized sports accessories company whose products convey the look and feel of the game. All items resemble and are made from the genuine materials of the sports ball. The bracelets, necklaces, keychains, cell phone cases and MP3 player cases have been extremely well-received in the U.S., Canada, Mexico and Japan. The GameWear line is the only product of its kind to feature the officially licensed logos of every team in every major professional sport, more than 100 collegiate teams, and all-time great athletes’ names, jersey numbers and signatures. Since 1996 WatchGuard has been building award-winning unified threat management (UTM) security solutions that combine firewall, VPN and security services to protect networks and the businesses they power. We recently launched the next generation: extensible threat management (XTM) solutions featuring reliable, all-in-one security, scaled and priced to meet the unique security needs of every enterprise. Our products are backed by 15000 partners representing WatchGuard in 120 countries. More than a half million signature red WatchGuard security appliances have already been deployed worldwide in industries including retail, education, and healthcare. WatchGuard is headquartered in Seattle, Washington, with offices throughout North America, Europe, Asia Pacific, and Latin America.